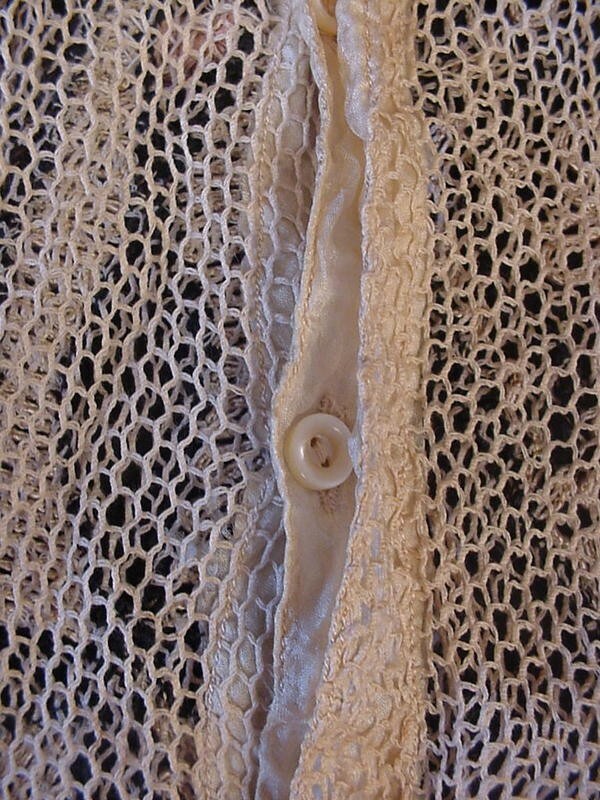 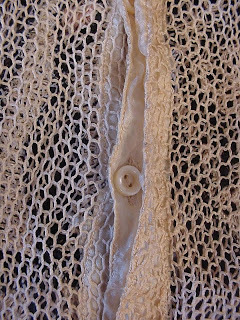 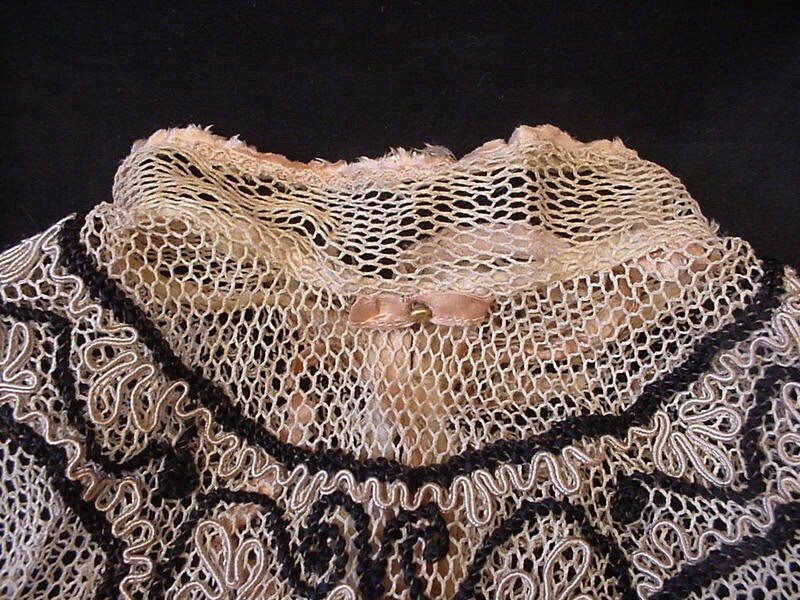 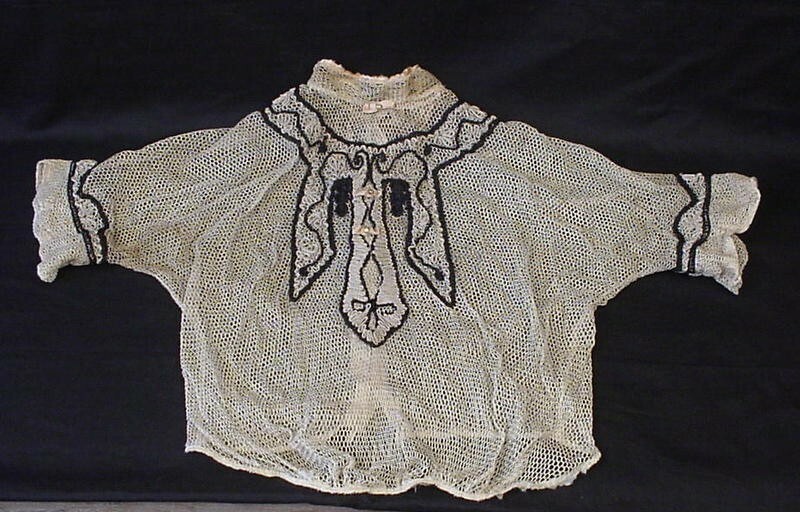 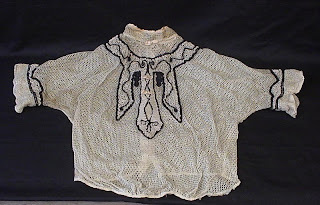 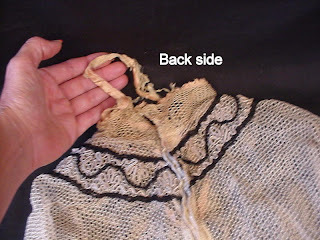 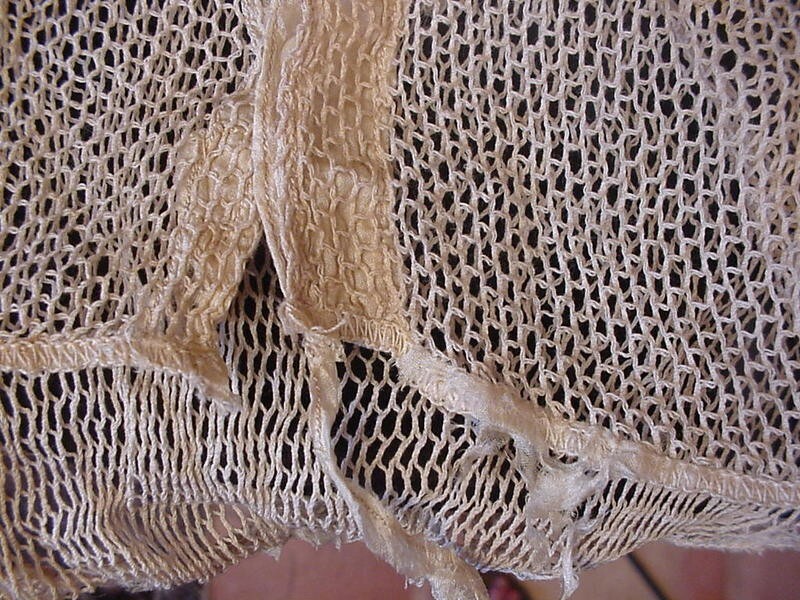 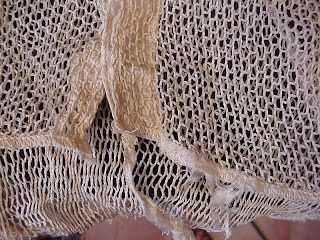 For consideration, antique victorian net soutache cord lace bodice or blouse. 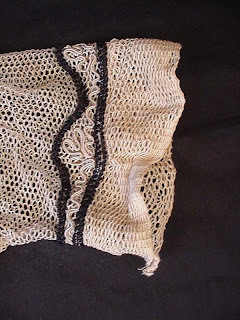 All net construction with heavy soutache chord design in black and ivory in front. 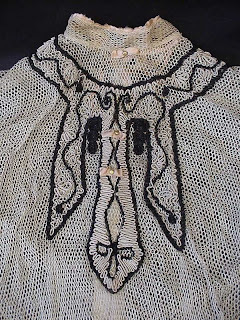 Buttons up in back. 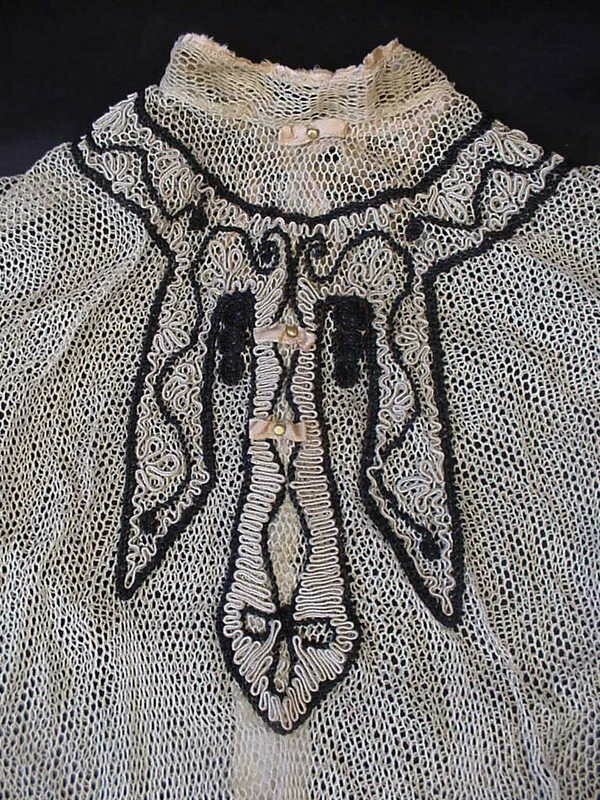 Serious stuff first: The high waistline and the embroidery/beading suggest that this is from about 1909-1913 putting it in the early Teens Era.